A little bit different rice? Why not. Easy and quick to prepare, perfect for a dinner. Start cooking the rice as I described here, you do not need to add cardamom if you do not have it. 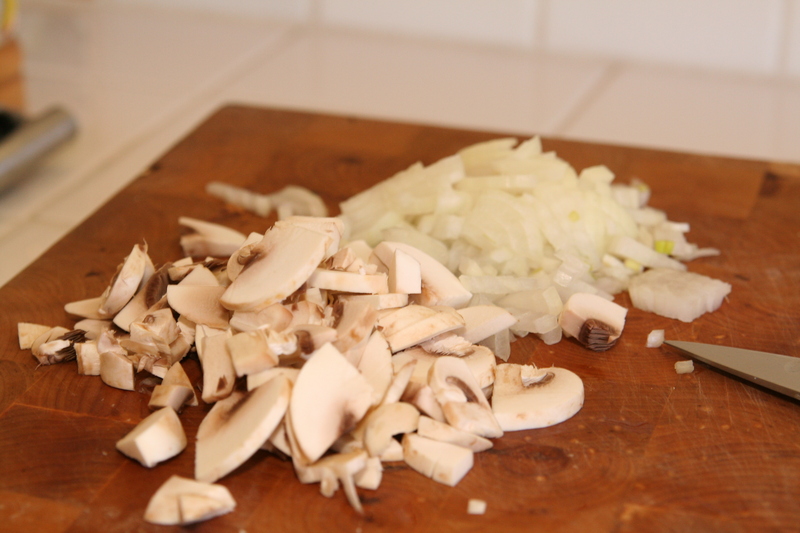 Chop the onion and mushrooms while the rice is cooking. Heat the oil in a pan. 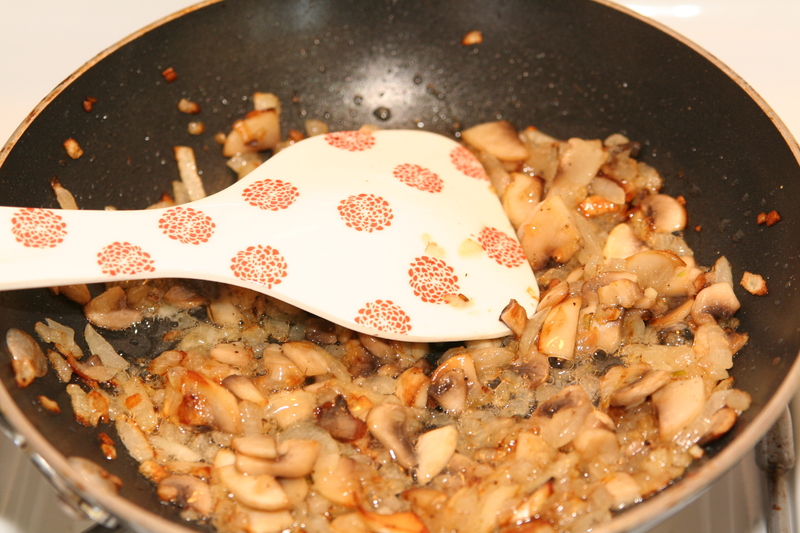 Fry the chopped onion and sliced mushrooms until golden. Season with salt and pepper to taste. 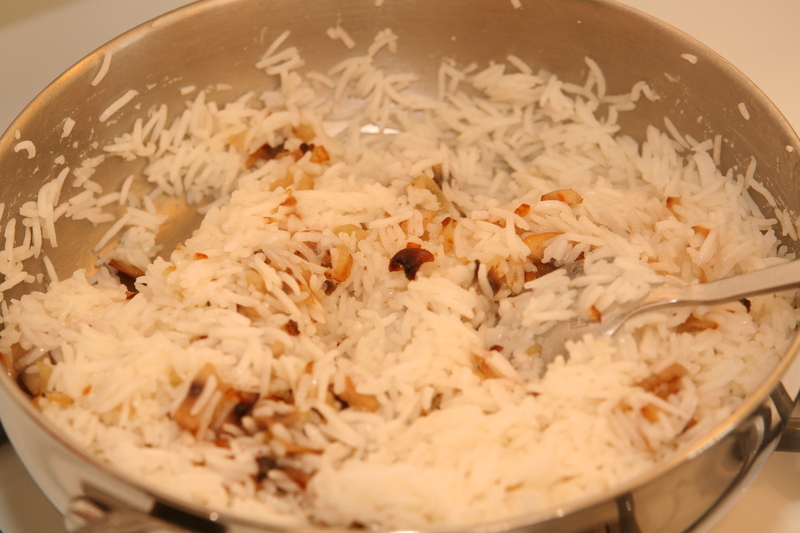 Add mushrooms and onion to the cooked rice and mix. 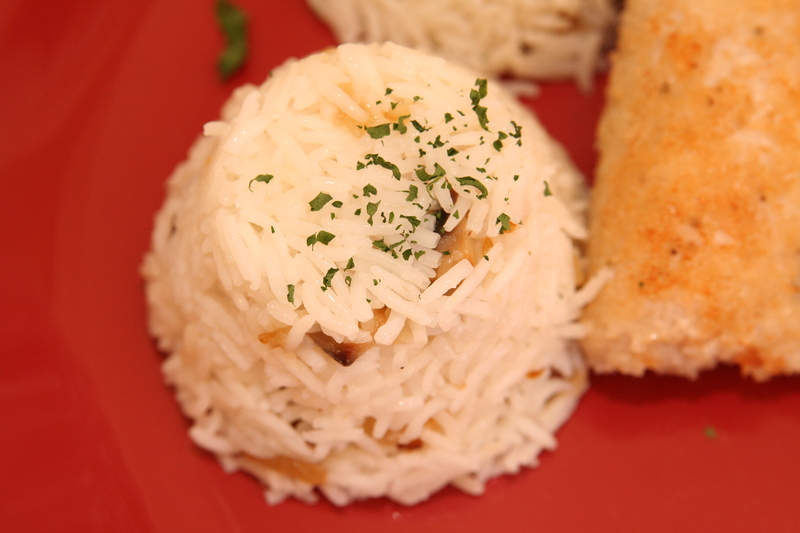 My dad loves his rice this way–it always makes me think of him now when I see it. I’m glad you posted the recipe, because I’m terrible at making rice! I love your header, by the way. Those eggs with bows are adorable!